Enjoy your own spa-like atmosphere right in the comfort of your own property. 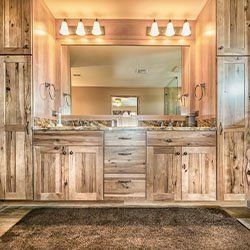 At Republic West Remodeling, our experts take you through the entire bathroom remodeling process to ensure your dream bathroom becomes a reality. 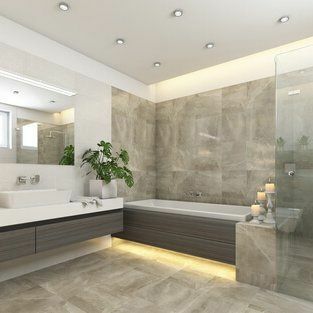 Whether you are looking for exceptional design with tile choices, extra counter space or luxurious amenities like multiple shower heads, we are your premier bathroom remodeling contractor in Phoenix and Scottsdale. Innovative solutions for cabinets and storage increase the usable space in your bathroom. 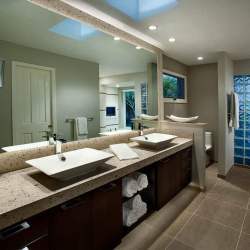 Modern and sleek design touches in a bathroom increase your home’s value. 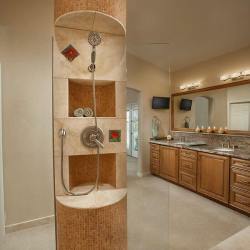 Let your bathroom remodel increase the functionality of bath fixtures. Take advantage of natural light and views while maintaining privacy. Luxurious amenities enhance the bathroom’s visual appeal. 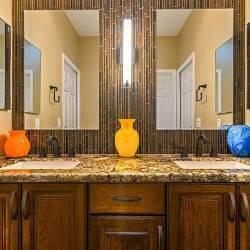 Unique material choices add impact and style to your bathroom remodel. At Republic West Remodeling, we simplify complex bathroom renovations by planning successful outcomes through our Dream Assurance PlanTM. We focus on 3 core areas: design and visualization, cost certainty, and time certainty to ensure your dreams come true! Republic West remodeled our master bath. Staff was most professional and took a direct personal interest in getting the job completed on time and to the highest of standards.